Based in the South of England, Southampton Solent has been a University since July 2005. Incorporated as an independent higher education institution in 1989, the University's origins can be traced back to a private School of Art founded in 1856. Over the past ten years it has made vast improvements to its campus enabling it to offer the latest state-of-the-art facilities. "I started at Southampton Solent University as a student in 2007 where I did the Popular Music Production BA Hons degree course. I graduated in 2010, then began working for the University on a part-time basis helping to run events and then went on to become a full-time Music and Radio TI in 2014. As A TI I do the radio studio training and induct students on how to use the equipment as well as showing them recording techniques and best practice. Lecturers can book and attach myself to their units so, therefore, I am on hand for the duration of the lessons in the studios to assist with the technical aspects. I was also involved with installing the desks in the studios with the aid of a couple of other work colleagues – we purchased new furniture which meant I could get the table tops cut for the S1’s to drop into creating a flush finish. We chose the Sonifex S1s because of their simple yet powerful look and functionality. 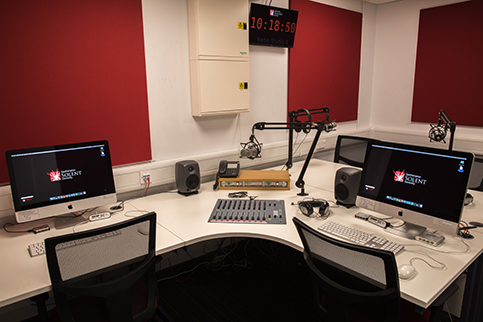 We had previously been using alternative digital desks and we wanted to simplify the operation of the studios so that both technically and non-technically minded students could use the studios with ease. 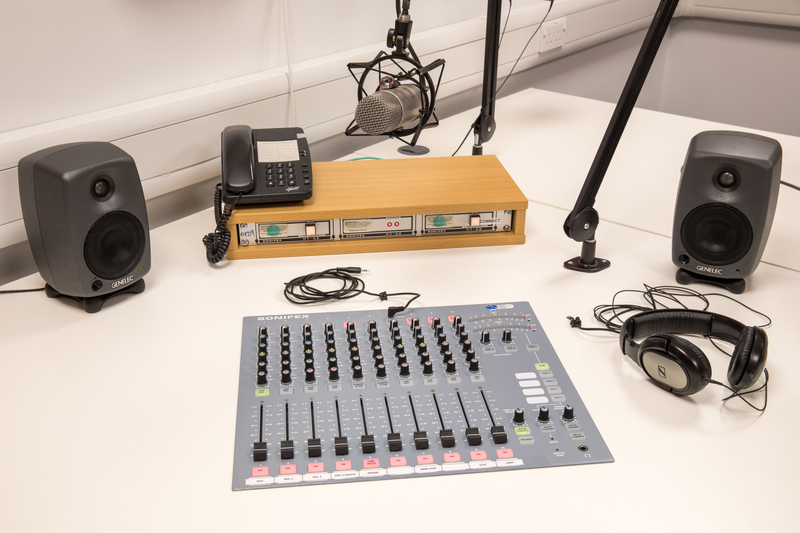 The S1 mixers are used over several courses and units across the university. However, they are mainly used for the various Journalism courses we run here from Multi-Media Journalism, Music Journalism to Media Cultural Production. 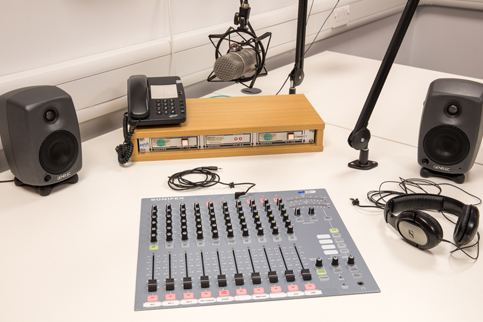 Students can undertake audio projects such as documentary making, podcasts and radio shows which form part of their assessments. Three of the eight studios have separate booths and are also used for voice overs and sound effect recordings. The Sonifex S1 Radio Broadcast mixer is a high performance compact, low cost, fixed format mixing console designed for on-air radio use. It has a ‘no compromise on quality’ approach with an amazing feature set and offers a proper broadcast solution to small-scale commercial, community, educational and student radio stations that need a versatile, reliable radio broadcast mixer. It has both analogue & digital inputs & outputs allowing simultaneous local and internet broadcasting.